I am so excited to share with you that I’ve been invited to speak at an extraordinary online event called the AUTHENTIC BRANDING SUMMIT. This event is absolutely free and starts November 16th, 2015. My fabulous colleague Ellie Isacs has gathered 10 experts when it comes to authentic branding. 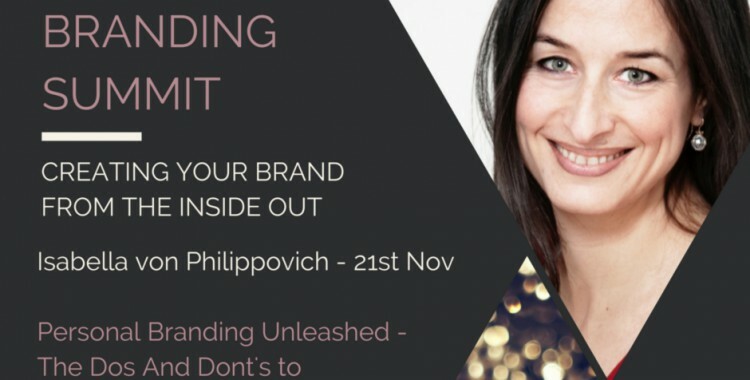 The AUTHENTIC BRANDING SUMMIT is a free online event providing a wealth of information, tools and processes on Creating Your Brand From The Inside Out. The information we are sharing is changing the whole perception of BRAND BUILDING, AUTHENTICITY & ENTREPRENEURSHIP today. Together, all 11 speakers will cover elements to explore and develop within, when creating a brand, like your story, your style, inner power, your voice and confidence, as well as integrity and consistency. It will be an exciting event that will provide awesome inspiration and practical insights that will move your personal brand to the next level. Would love to see you join us! < ARE YOU HIDING YOURSELF? 4 STEPS TO FACE VISIBILITY POSITIVELY IN YOUR BUSINESS	> Is Authenticity A Trend?